Secondly, 802.11ac features a new technology called Beamforming. Most wireless antennas are omnidirectional; they transmit more or less equally in all directions to provide blanket coverage over an area. Beamforming allows wireless-ac devices to increase power in the general direction of a detected device. This allows for better range and a stronger signal for the receiving device while still providing blanket coverage. 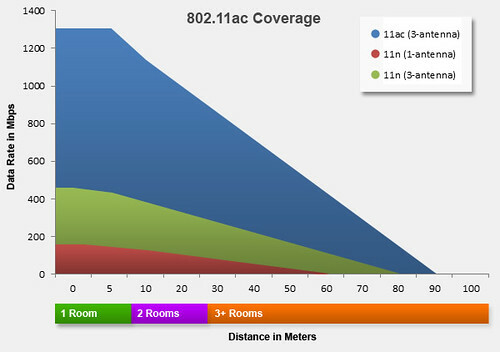 Although Beamforming was featured in 802.11n, there were significant issues preventing it from working properly when using devices from different vendors; 802.11ac has solved most of these problems. There are many other improvements in the wireless-AC standard that will allow all of your current and future devices to connect at speeds that were only dreamed of a few years ago. Perhaps the best feature is that the new standard maintains backwards compatibility with older devices. 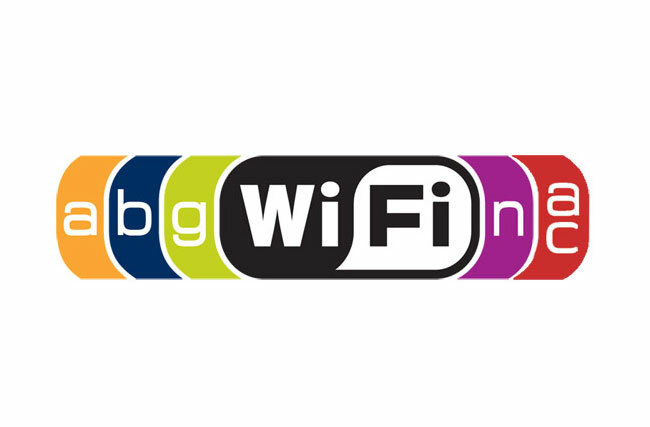 Any laptops, smartphones, tablets or other wireless devices that are only capable of wireless-N, wireless-G, or wireless-B will still be able to use wireless access points certified for 802.11ac. However, they will be limited to the speed of that older standard but it allows you to incrementally upgrade your devices one at a time. The big question is when to upgrade to 802.11ac. Although a few manufacturers have already released compatible access points, very few devices currently for sale will able to take advantage of it until the standard is finalized and approved. Similar trends were seen when 802.11n was undergoing final reviews and approval. If the same trends occur with 802.11ac, then many of the devices released before the final approval of the standard will need software or firmware updates to be fully compatible. It’s generally advisable to wait until you really need the benefits of 80211.ac before you upgrade. Not only will you be able to avoid many of the inevitable headaches of an incomplete standard but the devices will be priced relatively high until the new standard achieves greater market-share than the older standards. You may even find you never use an 802.11ac device at all, as the standards committees are already working on its successor, 802.11ad, which promises even greater improvements. ← What is Fiber Optics? Pingback: Telematics Laboratory | What is Cloud Computing?